This post was written by educator Michael Cruse. Sometimes, evening professional development is a hard sell after a day of teaching, especially on a night with single-digit temperatures here in Washington, D.C. The lure of the humid tropics and desert Southwest were enough to convince me, though. I wasn’t bound for parts south of the polar vortex, but instead to D.C. Teachers Night at the U.S. Botanic Garden. 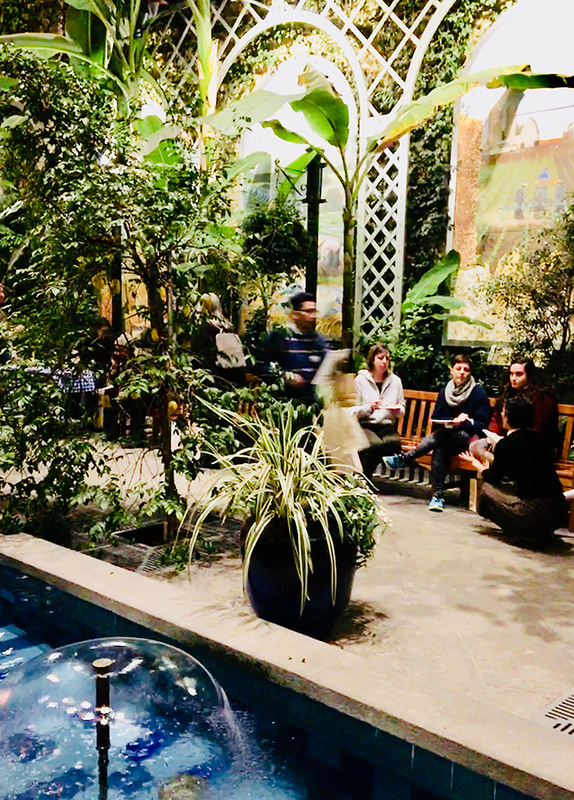 Sitting at the base of Capitol Hill, the Botanic Garden is a literal and figurative oasis from the politics and power that characterize the rest of the city. If you’ve never been, be sure to add it to your list for your next trip to D.C. The staff members of the Botanic Garden were excellent hosts for the event, inviting arrivals in from the cold and encouraging everyone to drop their layers of coats, hats, scarves, mittens, and sweaters in the coat room. They then provided maps of the greenhouse gardens and the 35 local, regional, and national organizations attending the event. I skipped the drink and dinner lines (only to return later) and headed—with my ubiquitous canvas teacher tote—to check out the swag-laden tables. 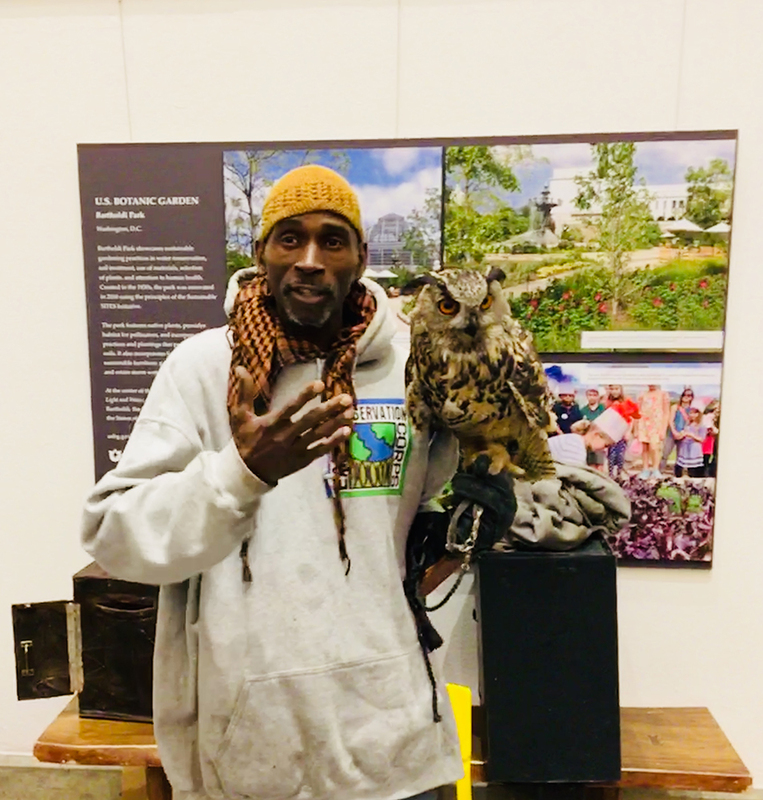 The list of attendees included many well-known names, from the U.S. Environmental Protection Agency and the Carnegie Academy for Science Education, to your very own National Geographic Education. To my greater surprise were the many smaller organizations that work to make D.C. a recognized urban leader in climate action and environmental sustainability. Groups ranged from those promoting urban gardening and addressing food security issues that plague parts of the cities’ NE and SE quadrants, to others focusing on the health of the Chesapeake Bay, whose tributaries begin in upstate New York and travel all the way south to Maryland and D.C.
As I went from one table to the next, I could not help but feel incredibly lucky to teach in a region where there are so many different resources to help students understand their physical environment and study their impact on the systems affecting them. It was easy to begin feeling overwhelmed by the quantity, and quality, of these opportunities for educating students. 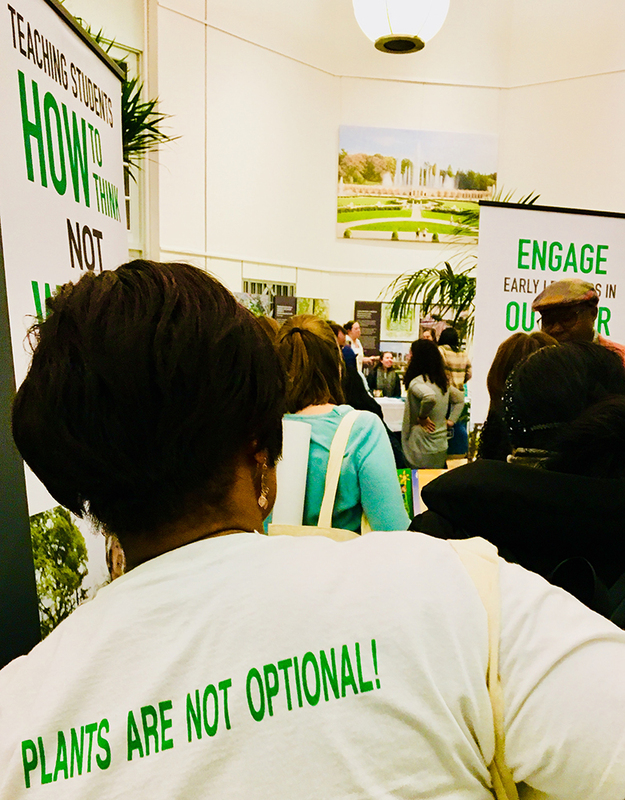 While larger organizations operate on national-sized budgets and support programs across the U.S., the more grassroots among the exhibitors were no shrinking wallflowers. 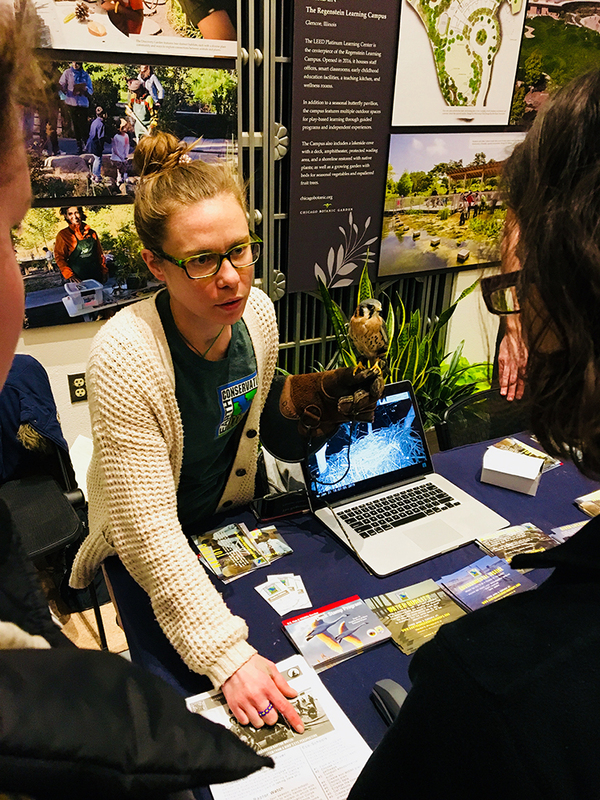 Living Classrooms of the National Capital Region, the Anacostia Watershed Society, and the Alice Ferguson Foundation were just three of the local organizations that are true powerhouses of the region’s green community. Together, big and small, these organizations created a true sense of community, with a commitment to educating students about our shared planet. My stomach and tote bag at their fullest, I wasn’t ready to leave the warm and welcoming crowd, but some lesson planning still stood between me and my bed. As I layered back up for the trek home, another teacher and I exchanged contented smiles by the coatracks. “I needed this to get through the January blues,” I said before I zipped up my hood. “They should do this here every year”, she said. I nodded my muffled head in agreement. Sometimes green communities are like the well-tended gardens of the U.S. Botanic Garden, and still other times they’re the fledgling, micro-gardens started in a tree-well, or growing from a pallet, hanging on a wall above a sidewalk. Whatever they look like, and however much their budget provides for, they each make up part of the green communities where we all want to teach, learn, and grow. Michael Cruse is an ESL and Special Education teacher at the Arlington Career Center in Arlington, Virginia. He was a 2018 Fulbright Distinguished Awards in Teaching Fellow, and studied green schools and environmental education in Israel and Palestine.